Kenneth S. Abramowitz is a co-founder and Managing General Partner of NGN Capital. He joined NGN Capital from The Carlyle Group in New York where he was Managing Director from 2001 to 2003, focused on U.S. buyout opportunities in the healthcare industry. Beginning July 2003, he transitioned to Senior Advisor at Carlyle in order to devote the time necessary to create a dedicated healthcare fund on behalf of Carlyle. 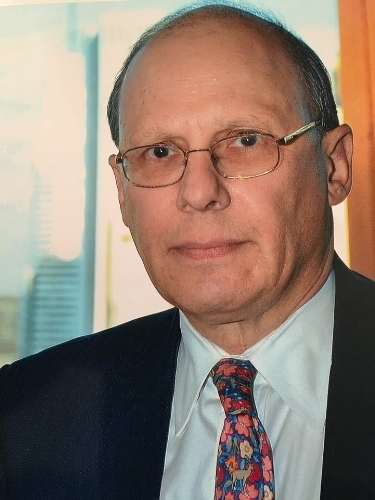 Prior to joining Carlyle, Mr. Abramowitz worked as an Analyst at Sanford C. Bernstein & Co. where he covered the medical-supply, hospital-management and HMO industries for 23 years, after which he was an EGS Securities Healthcare Fund Manager. He was voted top hospital supply and/or service analyst on the Institutional Investor Magazine "All-America Research Team" during 15 out of 20 years between 1980-2000 and made “The Team” for both healthcare services and medical supplies for 9 years since 1987. Mr. Abramowitz has published several notable studies on healthcare service companies, major medical mergers, and cardiovascular device innovation, among others. He has also published numerous articles in leading journals. Mr. Abramowitz earned a B.A. from Columbia University in 1972 and an M.B.A. from Harvard Business School in 1976. Mr. Abramowitz currently sits on the Board of Directors of BeneChill, Inc., Mitraltech, Ltd., Cerapedics, Inc., and Akorn, Inc., and serves as a board observer at OptiScan Biomedical Corp., and Spine View, Inc. He previously served as a Director at Sightline Technologies Ltd, acquired by Stryker, Power Medical Interventions, acquired by Covidien, EKOS Corp., acquired by BTG and MultiPlan, acquired by BC Partners and Silver Lake, as well as on the boards of MedPointe and ConnectiCare Holdings, Inc.